Cellular modules to reach $2.2bn in 2019 and wireless terminals to grow faster. The latest report from Beecham Research predicts rapid growth in the sales of M2M cellular modules and wireless terminals to end 2019, with volumes shipped reaching 154% and 166% of 2014 levels, respectively. Cellular M2M modules are expected to reach $2.2bn in sales in 2019. Over 90% of new cellular M2M connections are made using a module built directly into products such as smart meters, security alarms, medical devices, parking meters and connected cars systems. Compared with that, wireless terminals are defined in the report as general purpose stand-alone devices with one or more cellular network connections, such as modems, routers and gateways. “The increasing sophistication of M2M applications is driving the need for higher speeds, including real time video in security and connected car markets and the addition of service layers on telematics applications such as job scheduling and mobile payment systems,” says David Parker, senior analyst at Beecham Research and author of the report. M2M wireless terminal sales are expected to more than double in revenue terms in the period to 2019. These products are much more diverse and can cost from $150 up to $2,000 for complex multi-radio gateways. The market is also far less globalised than for modules with over 63% of revenue attributable to small companies who typically operate in just one region. 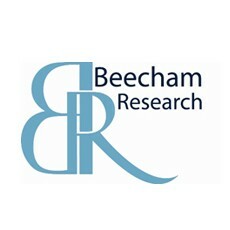 Beecham Research has a strong track record for accurate forecasting in this market. Its prediction for M2M cellular modules at end 2011 of forecast sales in 2014 was just 3% variance from the actual outcome 3 years later, with a rise in sales of 40.9% over the three years.